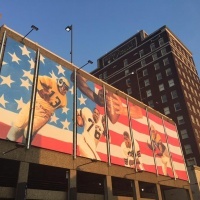 The ELEVEN is a $2.2 million multi-year project of ArtsinStark and The Pro Football Hall of Fame which celebrates the greatest moments in professional football history with a walkable series of 11 pieces of world-class art throughout downtown Canton, Ohio. 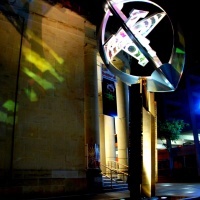 by artist Michael Clapper of Denver, Colorado installed in August 2014. 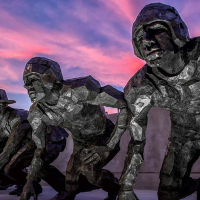 The sculpture was constructed near the site where the agreement was signed to form the American Professional Football Association, later renamed the National Football League. 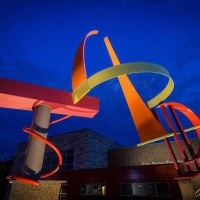 by artist Gail Folwell of Boulder, Colorado installed in August 2015. 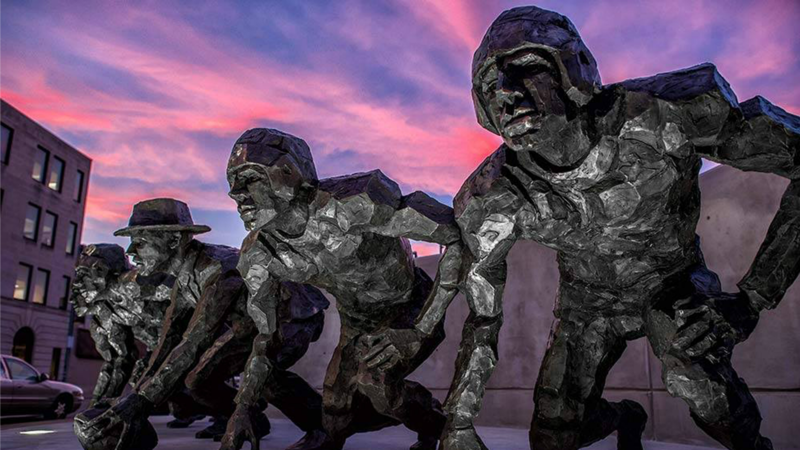 The sculpture was created to celebrate NFL Commissioner Bert Bell’s idea, now known as the NFL draft. by artist Paul Collins of Muskegon, Michigan installed in August 2016. This painting celebrates the "Forgotten Four"; Woody Strode and Kenny Washington signed by the Los Angeles Rams and Marion Motley and Bill Willis signed by the Cleveland Browns, breaking the color barrier in professional sports a full year before Jackie Robinson began playing professional baseball. by artist David Griggs of Denver, Colorado installed in June 2016. This abstract metal sculpture captures the essence of the battle between and eventual merger of the two leagues. by artist Dirk Rozich of Northeast Ohio completed August 2017. 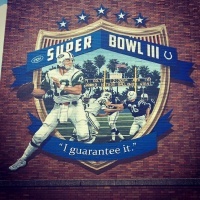 This mural celebrates one of the greatest upsets in sports history, the year Joe Namath guarenteed and led his New York Jets to victory over the heavilty favored Baltimore Colts. by artist Jeffrey Keirn to be unveiled August 3, 2018. This peice captures the success of NFL football on primetime television. The NFL debuted on ABC primetime with the Cleveland Browns vs. New York Jets on September 21, 1970. The NFL will be 100 years old in 2020. The goal is to have all 11 moments installed in time for that big centennial celebration in Canton, Ohio. 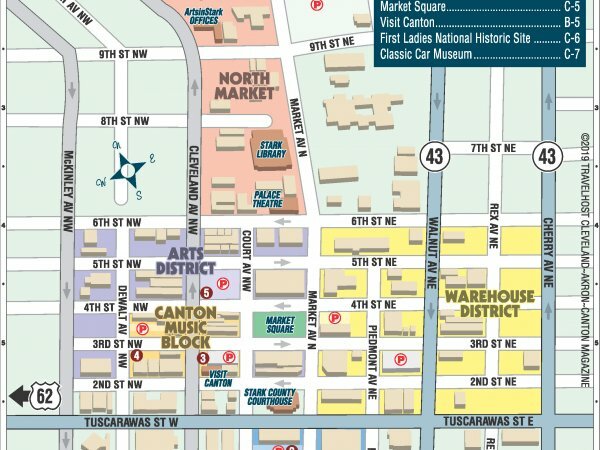 CLICK HERE FOR MORE ABOUT "THE ELEVEN"
Printable walking map of downtown Canton, Ohio.